Similarly to motorboats, speedboats are perfect for island hopping or spending the day cruising from beach to beach. This Regal 2600 lsr with overall lenght of 8.2 m and open cockpit with it's huge area witch can accomodate up to 12 people is a perfect speedboat without exception for an amazing day at sea. 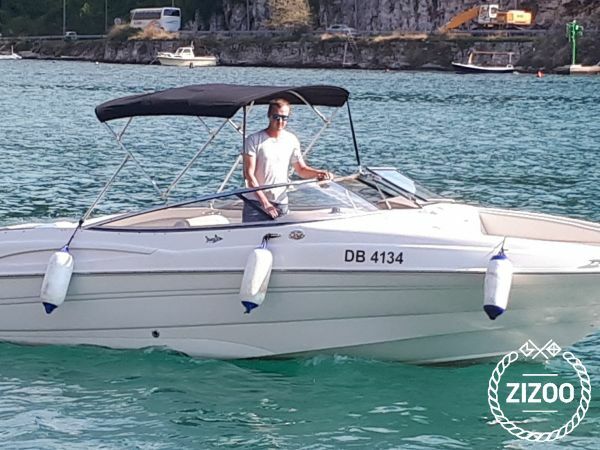 Fast, safe and easy to handle, this boat only requires minimal licensing, making it ideal for the casual sailor.The Regal 2600 lsr is located in ACI Dubrovnik , a convenient start point for exploring Croatia by boat. Happy sailing.